Have you picked up your "Loose Change" container in the Narthex! Fill up your container and bring it to mass any Sunday. Drop your loose change in the locked collection box located in the north east corner of the Narthex under the new Campus Master Plan. If you would like to have your loose change credited to your building fund pledge, simply write your name on the label and drop the container off at the office. 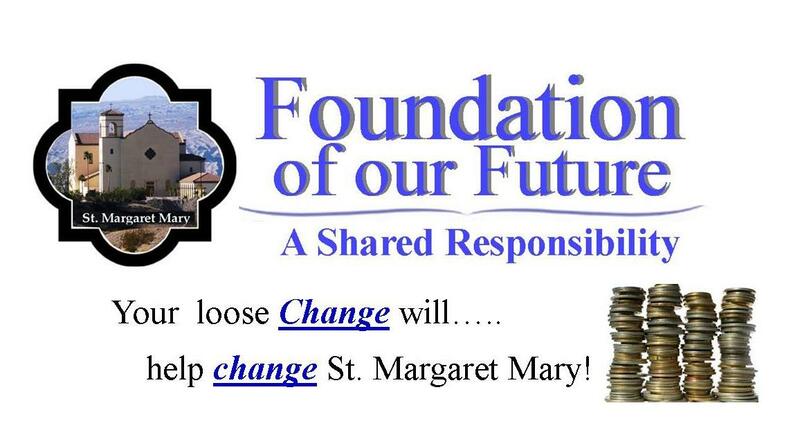 Your loose change will help change St. Margaret Mary for the good. Thank you Scott Seabury, Janice Paul, Jim Zaborsky, Toby Cotter, Bernardo Badilla and Fr. 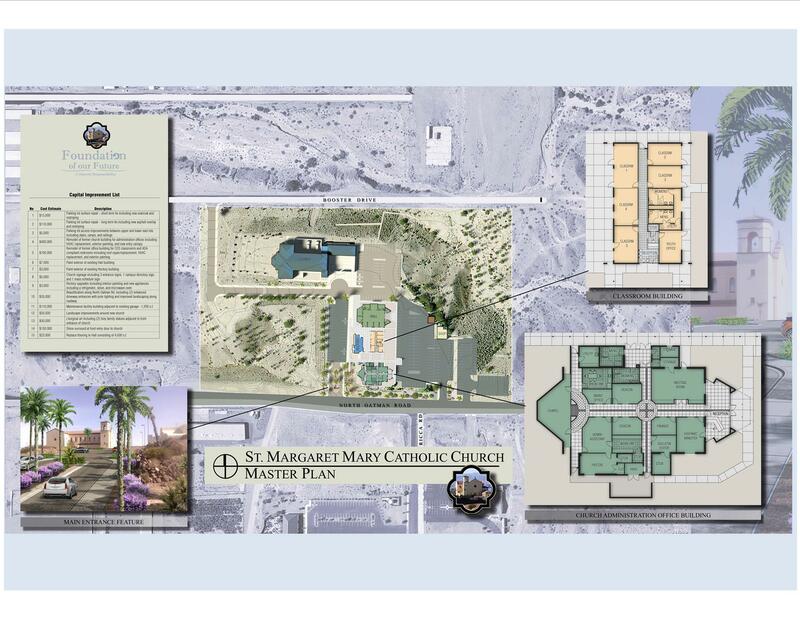 Peter for their dedication toward the completion of our Campus Master Plan! To continue the stewardship educational process by seeking opportunities to present the stewardship message in any and all facets of parish life, and to work in conjunction with the Finance and Parish Councils to continually elevate the management of parish resources of time, talent and treasure.